Are you looking for reliable engineering companies in Dorset? 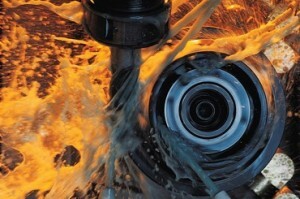 Allied Tooling is the South’s leading metal cutting and tooling professionals. We deliver exceptional results in every aspect of engineering. So when you require engineering in Dorset for your tools and equipment, Allied Tooling is the company to call. Whether you’re crafting a new set of tools or you need a complete regrinding service, our Dorset engineering will provide the shaping and cut you need. It is important, no matter what business you’re in, that your tools work efficiently. At Allied Tooling, you’ll receive exactly that with our precision metal cutting and wood tooling services. Our engineering service in the metal industry includes not only the cut but also the weld. With the latest CNC welding machines, we have the equipment to construct a variety of tools to suit your needs. Our work is applicable to both ferrous and non-ferrous materials, so no matter what needs re-sharpening, cutting or regrinding, we have the cutting fluids and machines for a precision cut and a pristine finish. We supply and cater to a wide range of woodworking services. With deep background knowledge of the woodworking industry, we know what equipment you need to deliver the best results in your industry. From sharpening TCT Sawblades to CNC and PCD tooling, our woodworking engineering will ensure you are fully equipped to the highest standards. In partnership with the leading brands and manufacturers in the industry such as AKE, GDA, Micor, JSO and CMT, you can put complete faith in our Dorset engineering services. With our engineering, we guarantee a longer lifespan for all of your tools and equipment. In a secured environment, we deliver the sharp quality and exact precision you are looking for in an engineering service. Discover the competitive rates you’ll receive with our engineering in Dorset and give Allied Tooling a call on 01202 675767 or email sales@alliedtooling.com.